Art’s one-night stand — Nuit Blanche — is hitting the ‘Peg September 29 and since it’s an all-night exploration of art and creativity, doesn’t it make sense to make yourself part of the installation? Read below to learn how you can get your glow on. First off, if you're serious about glowing up, think of your face as a canvas. 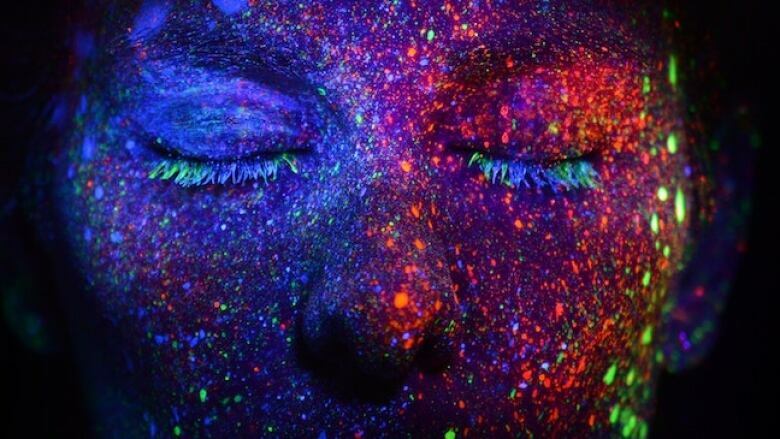 Take some UV makeup and turn yourself into a mystical being of glowtastic proportions just like this girl did. UV makeup is not the easiest to find, but we found a few options here and here and here. Are you the type of person who wants, no, NEEDS to make a statement. Then level up with your hairdo. It could be as easy as a glow wig or as detailed as this guy using UV hair gel. Please make sure to use UV paint safe for hair. You want to make a statement, not a commitment. You want to glow all night at Nuit Blanche? Well, you have to dress the part. Bring out your brightest whites OR those old-school 80s neon tees OR go ahead by a century by decorating your gear with UV-reactive markers and paint. Maybe finish off your look with some reflective ribbon or tape. Pimp your glow with accessories! Your local dollar store is your best friend for a glow up party. They usually stock a massive amount of glow sticks and bracelets and star wands and glow glasses and rings. You're looking bright, you're feeling alright, it's now time to make your mark. Literally. 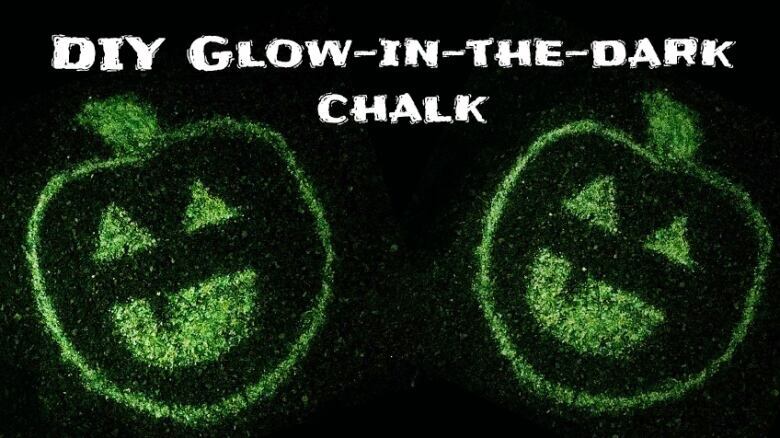 Bring along a few pieces of DIY glow chalk so you can add your own creative flair to the coolest event of the year. Now that you're looking rainbow bright, come glow with us in studio at our Flow in the Dark party! On September 29, our Nuit Blanche black-light yoga party is where you are going to want to start a night of art and light and music and overall Winnipeg awesomeness.